As you may know, at the IOMTT Zero the Polaris Victory (Brammo) team lost one of its riders to a crash in one of the practice rounds - Dunlop is in fair shape, but with some broken ribs after dropping his BMW on Monday. 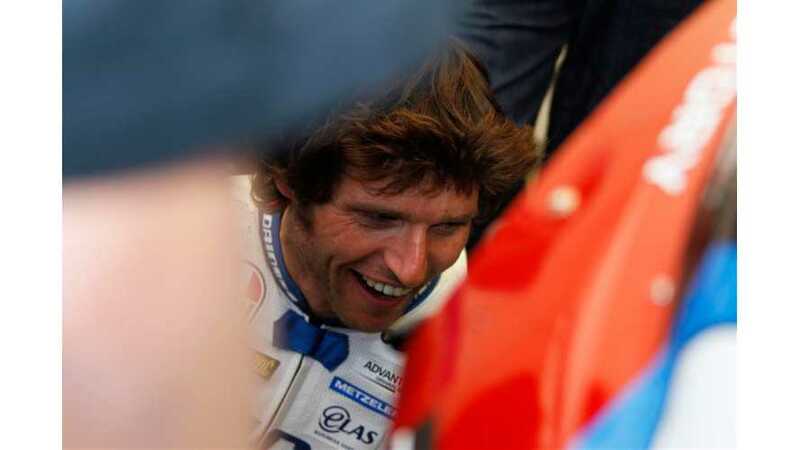 Victory was able to pull in Dunlop's teammate, Guy Martin, to ride the Victory bike. “You get a bit of wind noise but it’s also how noisy the brakes are, they are the same brakes as on my superbike but you don’t hear it! It handles a treat, it’s so impressive. Martin ran a respectable 104 mph average lap for his first practice.